Idyllic riverside location, pretty cottage with woodburner and beams, close to Rievaulx Abbey, Nunnington Hall and Duncombe Park nearby. 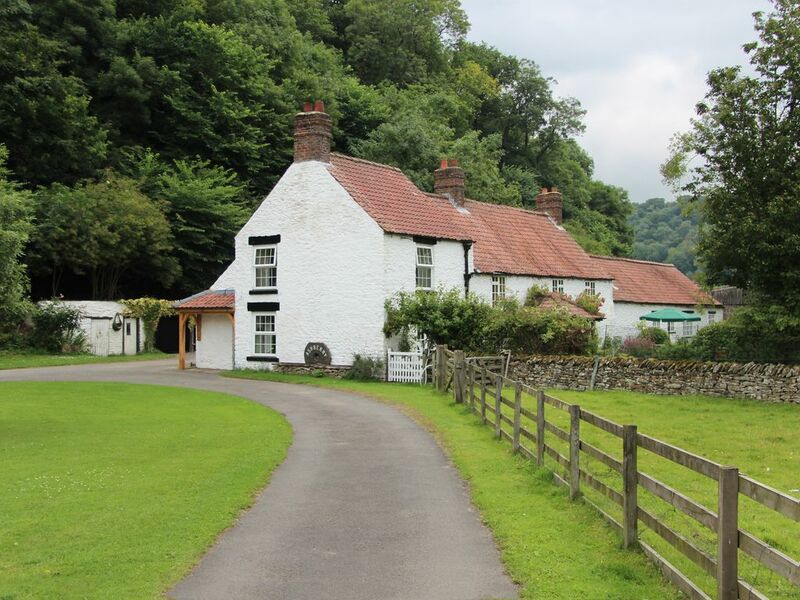 An exceptionally pretty and romantic cottage (gable facing), peacefully set in a riverside location, just a mile walk from famous Rievaulx Abbey. With a cosy beamed interior, it offers an ideal location for exploring the glorious North York Moors at any time of year. Adjoining the owner’s farmhouse it is just 3 miles from Helmsley with its excellent shops, pubs and restaurants. Nunnington Hall, Duncombe Park and Castle Howard are all within 12 miles and 15 miles away is the steam railway at Pickering for exploring ‘Heartbeat’ country. Historic York, Harrogate and the Yorkshire coast are all approximately 30 miles away. Pub serving food 2 miles. Woodburner in living room included. NSH, electricity, hot water, bed linen and towels included. Travel cot. High chair. Freeview TV/DVD. Microwave. Washing machine. Garden furniture. Shared grounds. Parking. Natural water supply from spring. No smoking. NB: Fenced river in garden. There is a private water supply to this property. The bannister height is less than 1m and there are gaps in the spindles of more than 10cm. There is a fenced river in the garden. The cottage is a little bit dated but this is more than made up for by the very welcoming and friendly owners and the incredibly beautiful setting. There is a constant background ‘noise’ of lambs bleating, birds tweeting and pheasants calling, very relaxing. There’s even a very friendly pheasant who taps at the french windows for attention. There are abundant walks in the area and there’s nothing nicer than to do a long walk and then return to the cottage to sit in front of a blazing log fire with a glass of wine and a book. A very relaxing break and I’ve already booked again!